TOSS BEFORE BEING TOSSED. 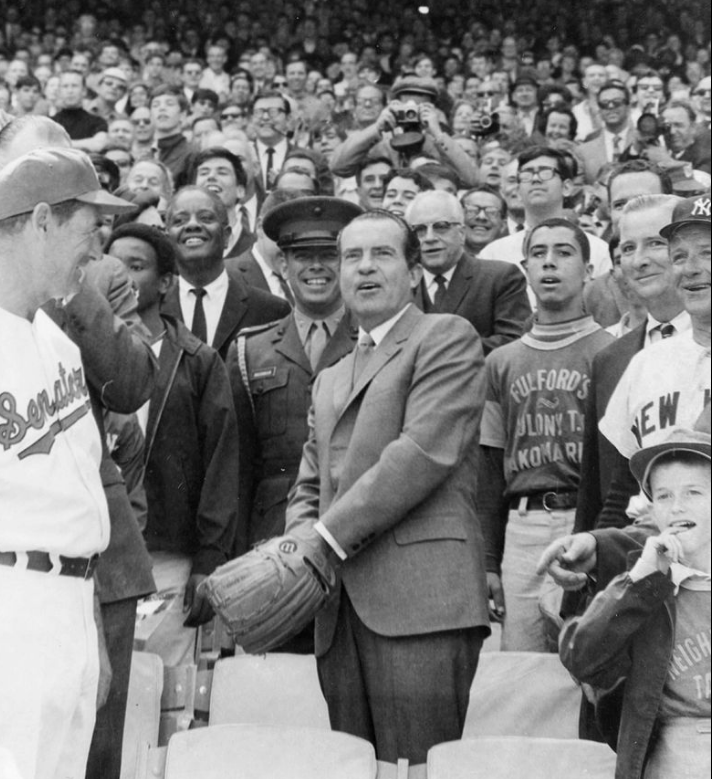 A better baseball fan than a president, Richard Nixon about to launch first pitch of the 1969 major league season with managers Ted Williams, Washington Senators (left) and Ralph Houk, New York Yankees. 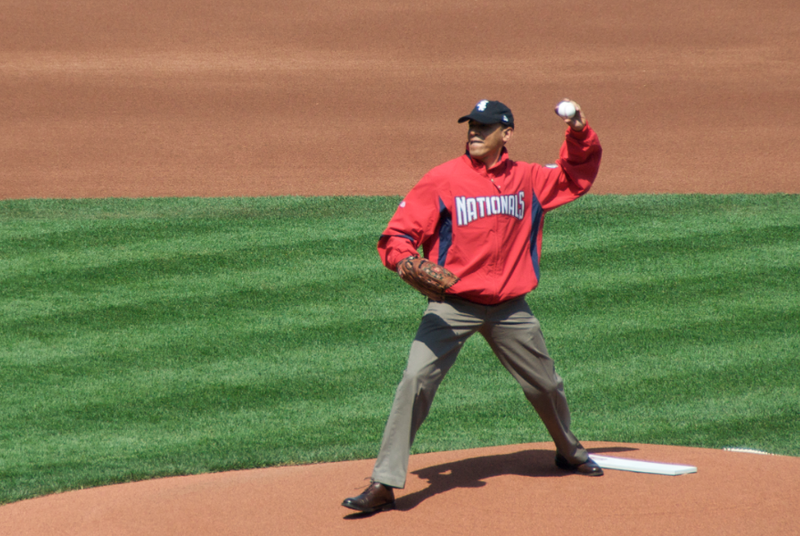 PART 3: PILLARTOPOST.ORG’S SALUTE TO MAJOR LEAGUE BASEBALL’S OPENING DAY WEEKEND. GUEST BLOG / By Sports Illustrated/Kids Edition, 2015--Abraham Lincoln had a baseball field, called the White Lot, built on the White House grounds. Chester A. Arthur was the first Chief Executive to welcome a professional team to the White House when the Cleveland Forest Cities from the National Association stopped by on April 13, 1883. And on June 6, 1892, Benjamin Harrison became the first sitting president to attend a Major League game. 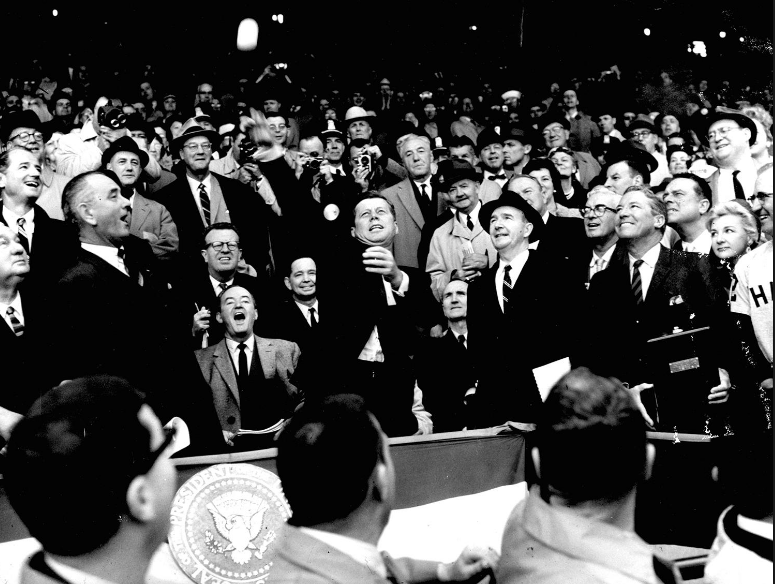 But the closest relationship between America's presidents and its national game is the first pitch. William Howard Taft threw out the first presidential first pitch on April 14, 1910, in the first MLB game of the season, between the Washington Senators and Philadelphia Athletics. (Washington won, 3-0.) 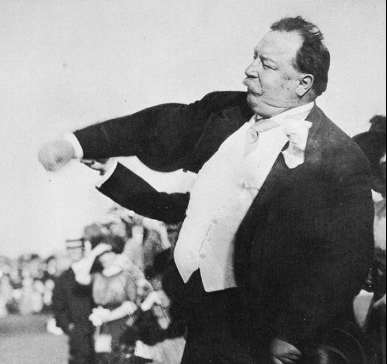 Taft was a huge baseball fan, attending 14 games during his four years in the White House. Legend has it he created the seventh-inning stretch when he stood up in the middle of the seventh inning during one of those games. 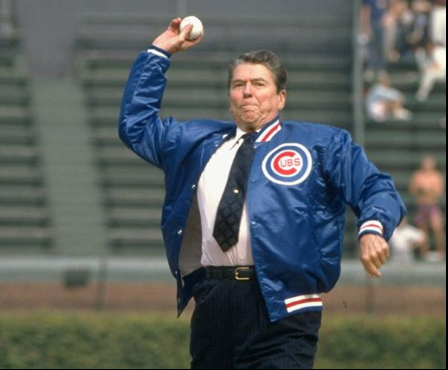 What's not in doubt, though, is that Taft created a first-pitch tradition that has been kept alive by every president who followed him, except Donald Trump. Full list with photos. Click here.